Whether you are a first-time or experienced mother, the name “Medela” will not be an unfamiliar brand to you. Founded more than 50 years ago in Switzerland, Medela has developed from a small family owned company to a global producer of technologically advanced breastpumps and Medical Vacuum Technology. Why are Medela breastpumps so popular? There are so many different brands of breastpumps in the market, why and how did Medela stand out amongst its competitors? Perhaps a very simple answer to that question is the heart and soul evidence-based research Medela invests in to constantly produce and improve top-quality breastpumps that enhance both babies’ health and support mothers during their breastfeeding time. Medela breastpumps users are able to have peace of mind and assurance that milk is expressed in the most optimal volume and condition without compromising mother’s comfort. 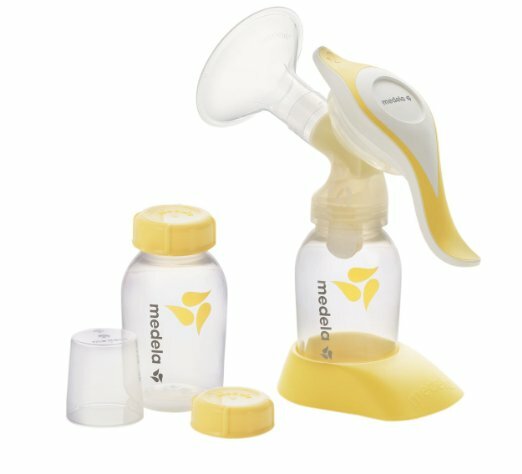 Medela’s research in the breast anatomy and infant sucking enables it to develop the revolutionary 2-Phase Expression Technology that changes the future of breastpumps forever. In simple terms, this technology mimics the 2 stages of when a baby feeds – stimulation mode and expression mode and incorporates it into its breastpumps design. Due to this technology, mothers do not feel discomfort or pain because milk ejection underwent rapid stimulation before they are being expressed gently and efficiently, closely resemble to that of a baby’s nursing. With this technology, moms can express more breast milk in less time. We have reviewed and compared the different models of Medela Breastpumps and have put together their key differences in the chart below so that you can decipher them in a glance. Read on to find out what are their pros and cons and see which one best fits your needs. Medela Swing breastpump is the smallest, lightest and most affordable electric breastpump across the Medela range. Because it is so compact and lightweight, you can have ultimate portability with the Swing and bring it anywhere with you and pump on-the-go should the need arises. Don’t worry, its size does not compromise the incorporation of Medela’s 2-Phase Expression technology. Users commented that they find the speed and suction of this model are on par to its more pricey counterpart – the Symphony. It is not without any drawbacks, though nothing major and unfixable. Most users are concerned about the tubing of this device. Milk can back flow if not careful enough which may be trapped in the motor resulting to contamination. One way to fix this is to get a longer tube, such as the ones from the Symphony. Another concern is that the Swing can be a bit loud. If you are looking for an absolutely quiet breastpump, this is not for you. Nonetheless, it is not to the point that it causes a nuisance, and most users are okay with it. Last but not least, the Swing is a single pump, which means you can only pump one breast at a time. As a result, you need longer time to fully express milk from both breasts, which can be a concern especially for those busy working mothers. In a nutshell, the Swing is your best option if you are looking for a reputable and effective electric breastpump at an affordable price point. The Harmony is a manual single breastpump. 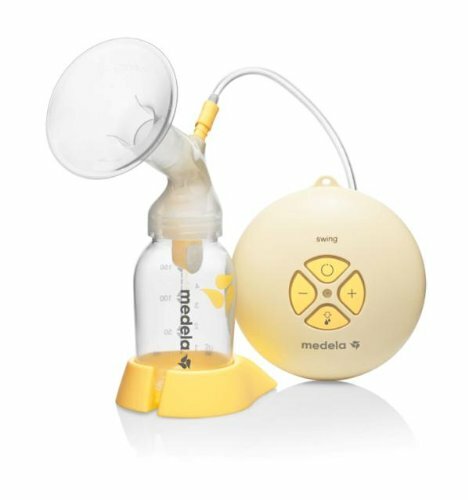 Given there is no motor or battery compartment, it is the lightest breastpump across all Medela range, not to mention its very affordable price point. It is worthy to mention that the handle of the Harmony swivels. This is a most loved feature as it allows mothers to pump one side while nursing baby on the other. The swivel handle keeps the pump at a good angle while still allowing mothers to pump with one hand without spilling any milk. 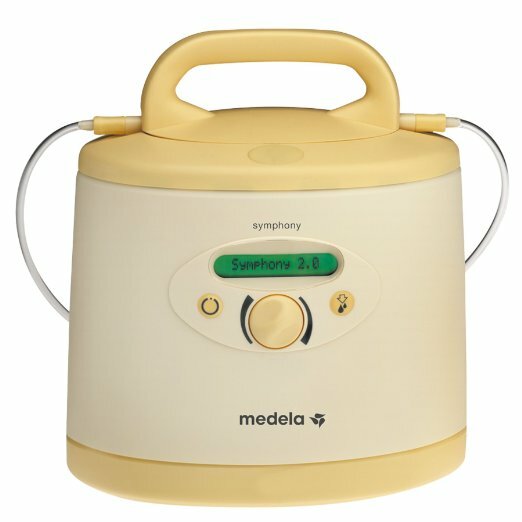 It is also relatively quieter than other Medela breastpumps as there is no motor running. Moving on to the drawbacks, the main and most frequent complain of most users is that it can be very tiring to pump, given that it is manual and single pump. You have to use your hand to pump until your milk is fully expressed and the repetitive movement can be tiring. As with the Swing, you also need longer time to pump both breasts as the single pump allows you to pump just one breast at a time. Overall, the Harmony is a good option if your needs include frequent travelling. Also, if you are tight on budget but still yearn to own a Medela breastpump due to its reputable brand and patented two-phase system, the Harmony is your best option. It is also a good backup to keep just in case your electric pumps run out of battery. Probably the king of all breastpumps, the Symphony is the dream breastpumps most mothers would love to have. It is hospital-grade, meaning it is generally more bulky, heavier and more long-lasting compare to personal use breastpumps. 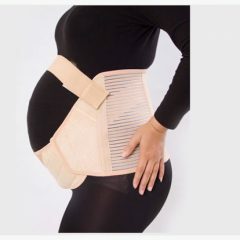 It is designed to be able to be safely and hygienically used by multiple users, which is great because the Symphony does not come cheap and that is why it is mostly rented by mothers. The Symphony is a life-saver for mothers who have trouble initiating milk supply. Do you know there are two types of pumps – initiation and supply-building pumps vs. maintenance pumps? In simple terms, the former helps build up milk supply whereas the latter expresses established milk supply. Be it you have a premature baby or for whatever reason, you have a low supply of milk, the Symphony is your solution to establish more milk supply. One major drawback of the Symphony is definitely its steep price point. Luckily, it is available for rental from hospitals which is a great solution for all because this way, you get to enjoy the benefits of the Symphony when and only when you need it. If you have concerns about hygiene risk, what’s with sharing breastpumps with other mothers, rest assured because the Symphony has a unique overflow protection system, meaning that it is protected from milk and thus eliminating the risk of contamination. Other cons of this breastpump include its heaviness thus compromising its level of portability and that you need to buy the pumping kit separately. Overall, the Symphony is highly recommended for mothers who have trouble establishing milk supply, or when great pain or discomfort is experienced during breastfeeding. If you have otherwise consistent and sufficient milk supply, you are better off looking at other Medela models because the price of this one is definitely a factor for most. This is perhaps one of the most popular electric breastpump across the entire Medela range and it is easy to see why. 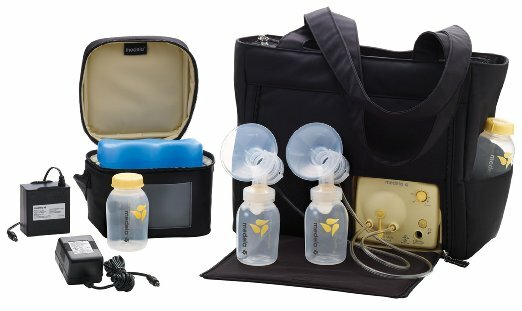 The Pump In Style Advanced comes with a double pumping kit, a cooler system that can hold up to 4 bottles with lids and most of all, a lightweight and comfortable tote with compartments that holds everything you need for pumping. This allows portable convenience for discreet pumping anywhere. 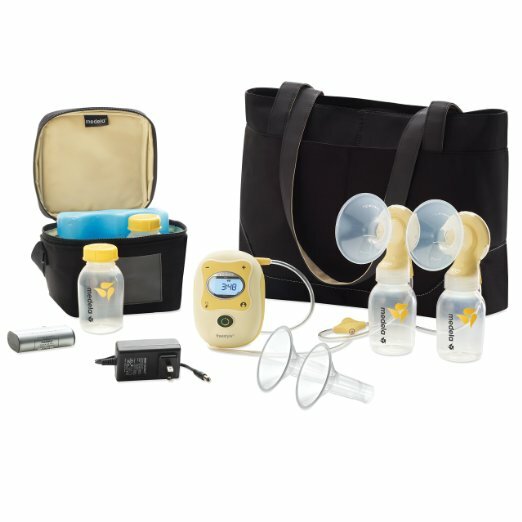 Due to it being a double pumping kit, mothers are able to pump the same amount of milk in lesser time compare to the Swing or Harmony or any other single pumping kit. In fact, one main reason this breastpump is so well-loved by mothers is that it actually helps increase milk supply, when mothers notice their lactation is dropping. They find that the quality of the Pump In Style is comparable to the hospital-grade Symphony, but at a fraction of the price. The cooler bag is highly commendable as it provides a cooling compartment comparable to that of a mini fridge to ensure your milk is always kept in optimum temperature. There is not much downside to the Pump In Style, however, there is one concern that milk will back up in the tubes causing mould to grow if not used properly. This does not seem to happen to many, though some users did find this problem occurring. It is highly recommended that you read the instruction manual carefully before using the Pump In Style. Remember to run the pump only with the tubing attached to dry out any moisture inside the tubing if you notice milk vapour backs up into the tubing during use. If you are still concerned, get the Medela Microsteam to sanitize your tubing as well. This way, you can have peace of mind that mould/mildew will not grow. Another inconvenience of the Pump In Style is that it is not as portable as you may find with other breastpumps. Users may find it limiting that it had to be attached to an outlet all the time as it is not battery operated and hence it is not ideal for travelling. Last but not least, no breastpump review will be complete without mentioning the Freestyle. This is often compared to the Pump In Style and understandably so, considering they comes with similar parts – the cooler bag, stylish tote and double pumping kit. The distinguishing element between the two is perhaps the breast pump. The Pump In Style has to be connected to an outlet at all times, whereas the Freestyle runs on rechargeable lithium ion battery. This makes the Freestyle much more portable and mobile-friendly, and it is the main reason why some may choose this over the Pump In Style. However, you should know that as with all cordless devices operating on batteries, there is usually a trade off or compromise with power. This result to weaker suction which in turn leads to lower milk supply as some users discovered. Incidentally, due to the weaker suction, one has to pump longer in order to get the same amount of supply in comparison to the Pump In Style. It is also louder than Pump In Style, which can be a turndown for many. Overall, if your job requires frequent travelling and you have excellent milk supply, the Freestyle is a good choice because it is small, compact and cordless. Otherwise, you are better off with the Pump In Style because it does offer better and more consistent pumping results, all at a much lower price point which may be the reason why it has a higher rating than that of the Freestyle.